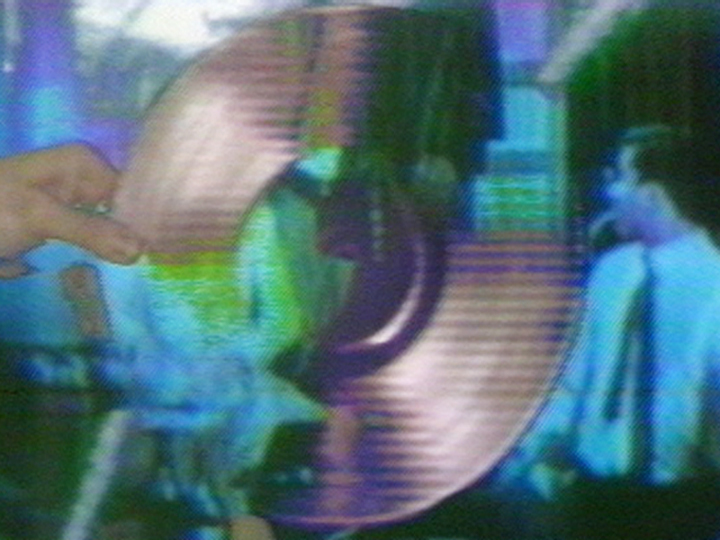 In Sonnier’s video tape TV In and TV Out, two images are superimposed, one shot off network television and the other shot from a studio performance situation involving some of the materials and visual qualities of his sculptures. This live image is colorized by a device which adds color to a black and white image and in turn manipulates the color. Colorized color is more opaque and less three-dimensionally tactile than synthesized color, but it is tactile in its video scan-line texture.